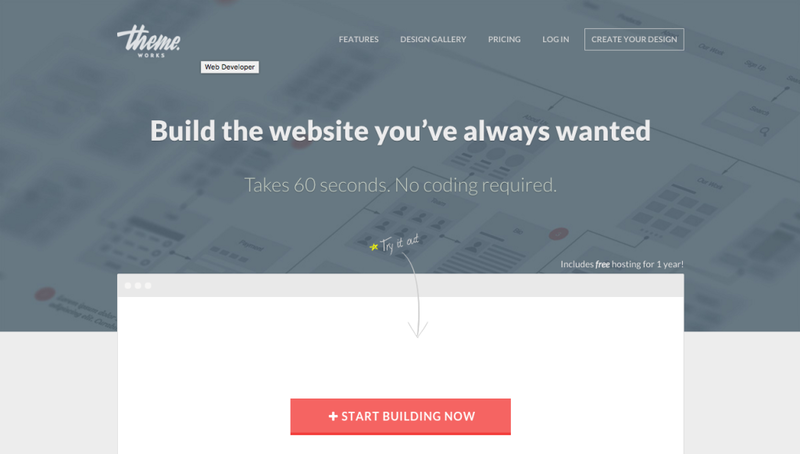 Create unlimited WordPress themes or html/css templates with this powerful tool, It has more than 1000 pre-designed elements you can combine or edit, change layout positions as you wish and upload your own.. 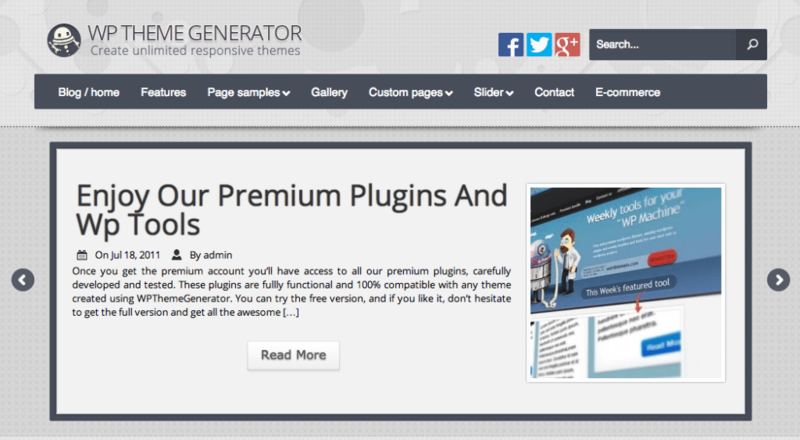 Choose from over 100 professionally designed headers, testimonials, slideshows, signup forms, etc. While other services require using shortcodes and options to achieve their advertised designs, we let you.. The Chinese proverb says, “Be not afraid of going slowly, be afraid only of standing still”. At the sight I saw this saying, the comparison of static HTML site and the one built on WordPress comes to my..
You can use CMS2CMS for easy and swift migration of content, categories, users, images, comments, tags etc from your current website CMS or forum board to a desired one! The whole process is under your.. 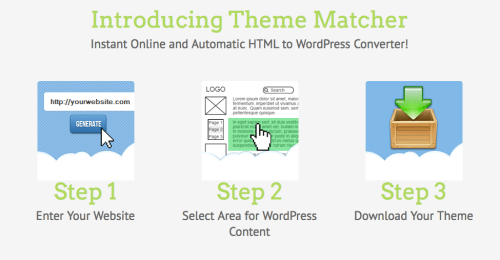 If you’ve ever wanted to build your own WordPress theme, but aren’t sure where to start, then the Theme Matcher HTML to WordPress conversion service is something you will be interested in. Whether you’ve..
Theme Matcher takes images, styles and layout from your existing website and converts it into an optimized WordPress Theme. This process takes a designer many hours to code manually, but is reduced to just a..
Ultimatum is not just a WordPress theme or framework. It is a total design suite. With Ultimatum you are not limited to design or functionality offered like in other themes or frameworks you are totally in.. Despite WordPress powering over 20% of the web, there are still a lot of static websites that could use a dynamic upgrade. 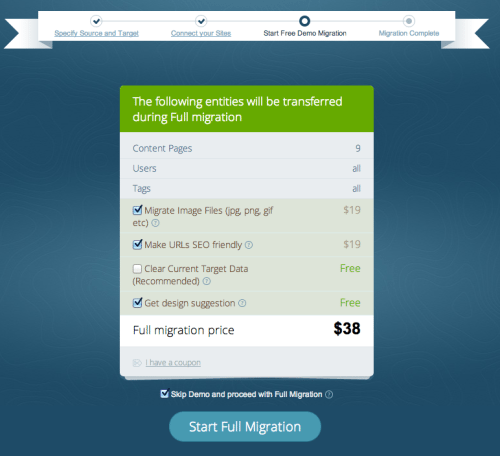 In order for a static website to take advantage of WordPress it requires two things:..
CMS2CMS is a service that handles the migration of site content from one CMS to another. The service is capable of migrating a number of different types of data including textual content, users, post images..
CMS2CMS is a service that allows you to move from one CMS to another. It supports a whole host of CMSs, including WordPress, Joomla, Drupal, b2evolution, Blogger, vBulletin, Tumblr, phpBB and about 15..